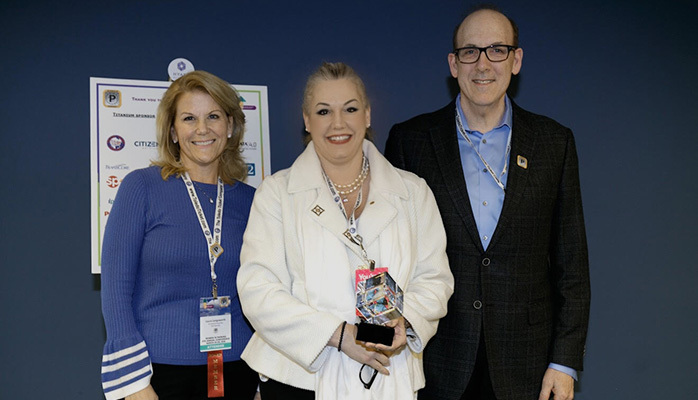 SP+ was recognized as the 2018 Organization of the Year by Women in Parking (WIP). Marc Baumann (CEO) and Nicole Hankins (Chair of the SP+ Women’s Advisory Forum) accepted the award on behalf of the Company. “The winning organization had to show how it supported the mission and values of WIP in their everyday operations. WAF had a huge contributing factor to the selection,” commented Tiffany Yu, Secretary of Women in Parking. The theme of WIP’s 4th Annual Conference was Transforming Careers through Diversity and the highly-anticipated event took place near Chicago.